Andy Bennetts receiving his outstanding contribution award. Satellite President Ian handing over to incoming President Peter Moore. Drew Ramsay showing the prizes he won in the St Andrews Rotary International Golf Tournament. President Louise thanked everyone for their tremendous support in making her year a successful one in which our activities made a real difference to our local and international community. 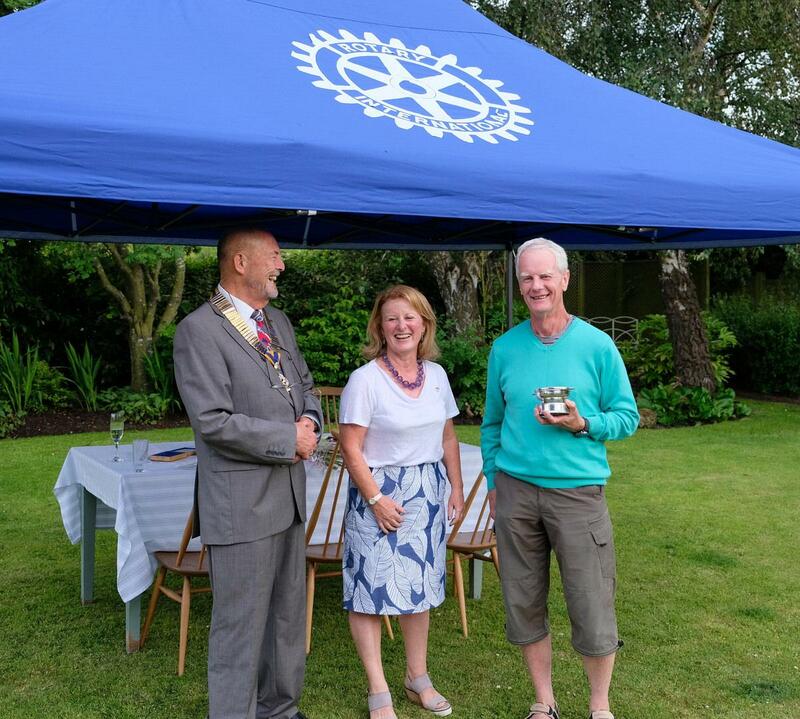 In recognition of his outstanding contribution to our projects in the past year, an award was presented to Rotarian Andy Bennetts. 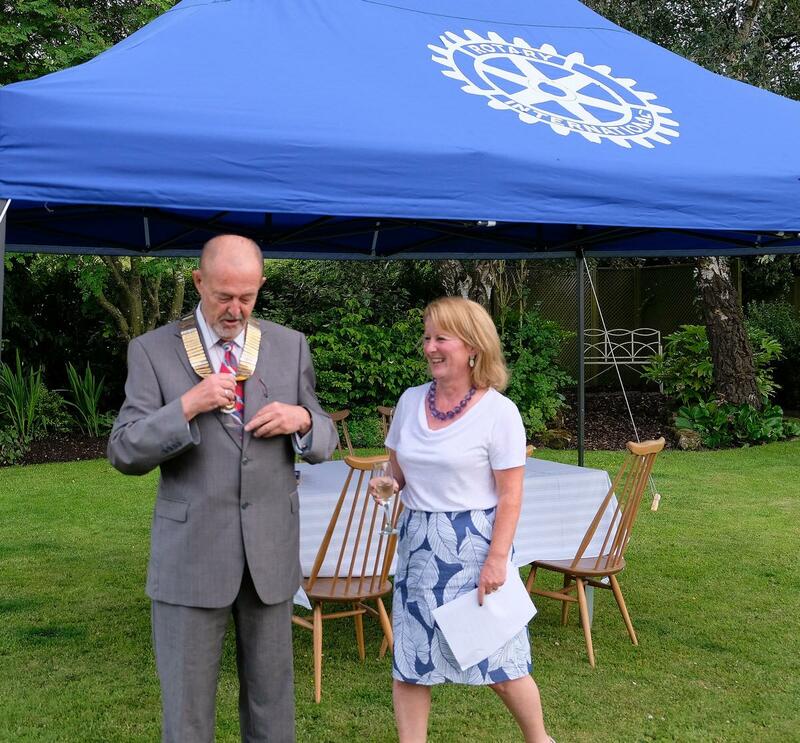 President Louise then formally handed over the chain of office to Alan and wished him every success in his year as President. 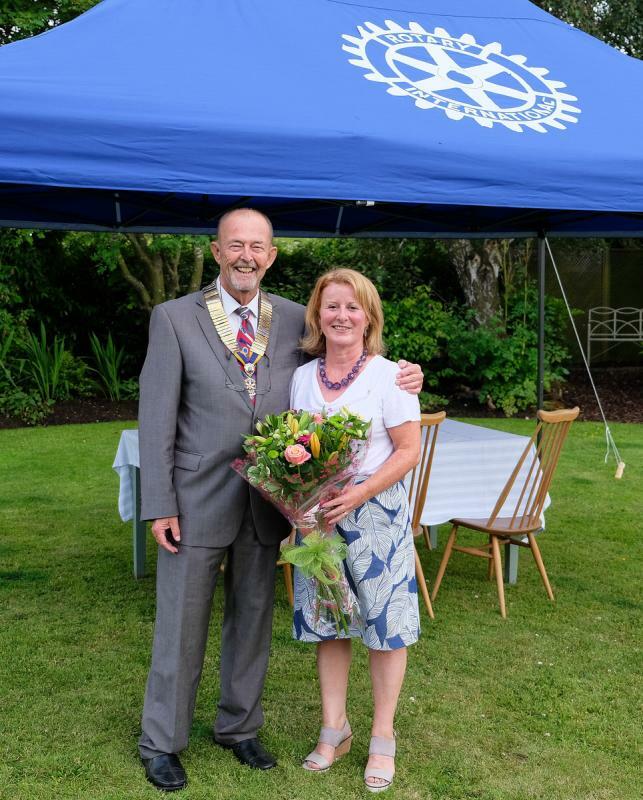 Alan presented Louise with a bunch of flowers and offered her his sincere thanks for her hard work during the past year in which she was not only President of the club but also Secretary. 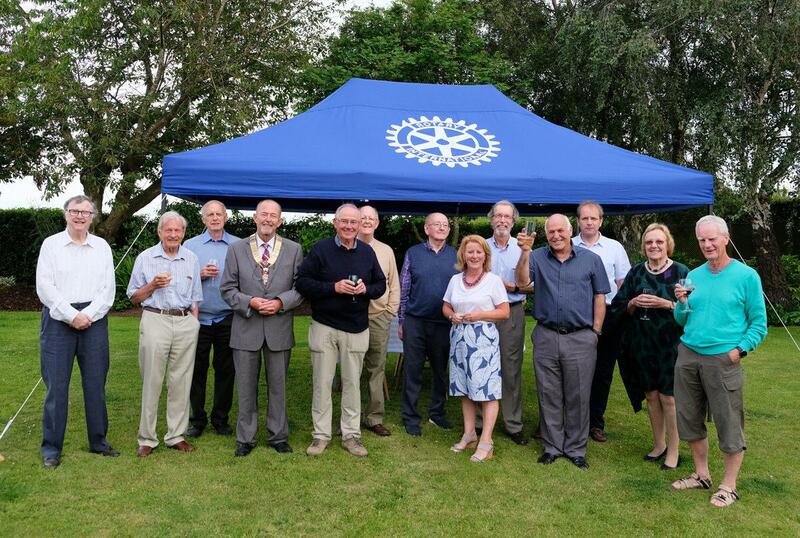 In accepting his chain of office, Alan was mindful of the many Presidents who had gone before, many of whom were present on the evening and looked forward to working with his committee, and with the support of our past presidents and our members, to deliver another successful year for our club. 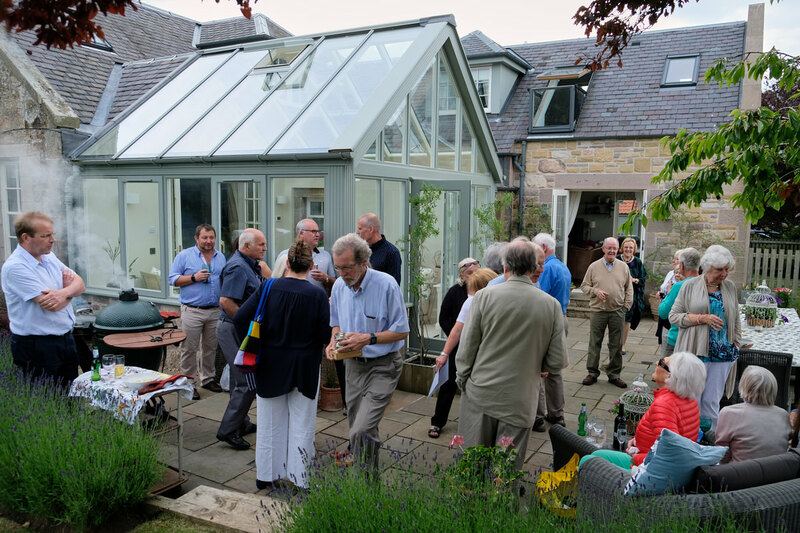 Ian Samson, President of our Satellite Club at Gifford, outlined the growth and success of the new Club in its inaugural year. Members have worked well together on several projects benefiting the community and a solid foundation has be laid for the future. 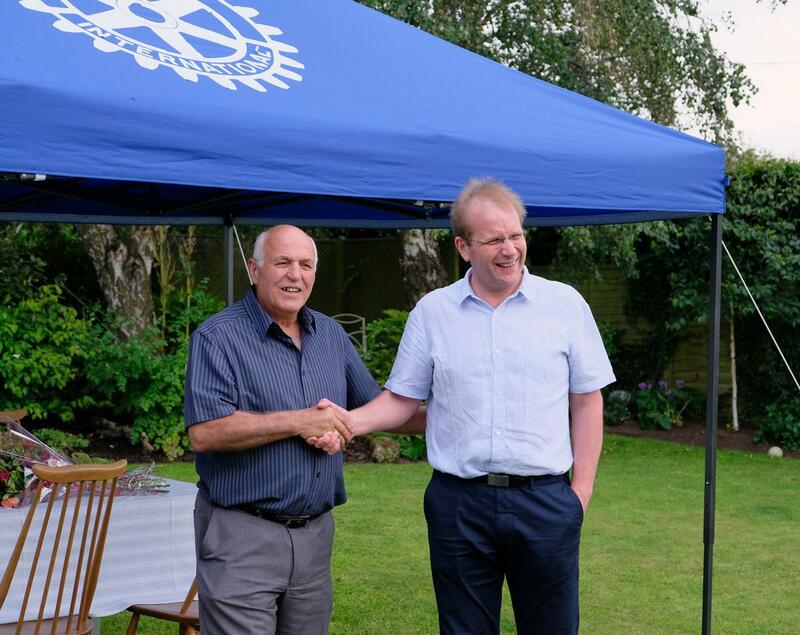 President Ian then handed over to incoming president Peter Moore and wished him a very successful year in 2018/19. We look forward to working with President Peter and our Satellite members to support them in any way we can on their current and future projects. 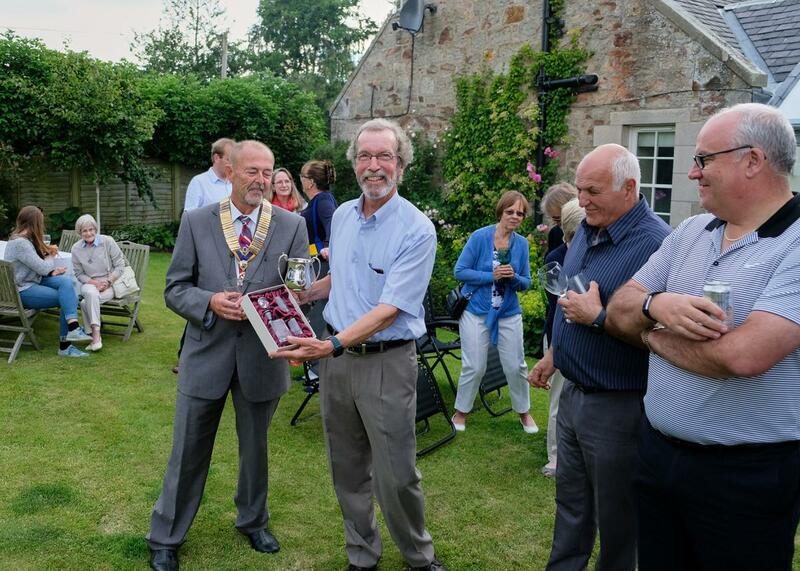 In conclusion of the formal part of the evening, Rotarian Drew Ramsay was proud to show the silver cup and glass decanter set he won for being the highest placed Scot in the Rotary Club of St Andrews International Golf Tournament held on St Andrews Old Course. The tournament, open to Rotarians from all over the world, had 288 participants representing 20 countries on 5 continents. 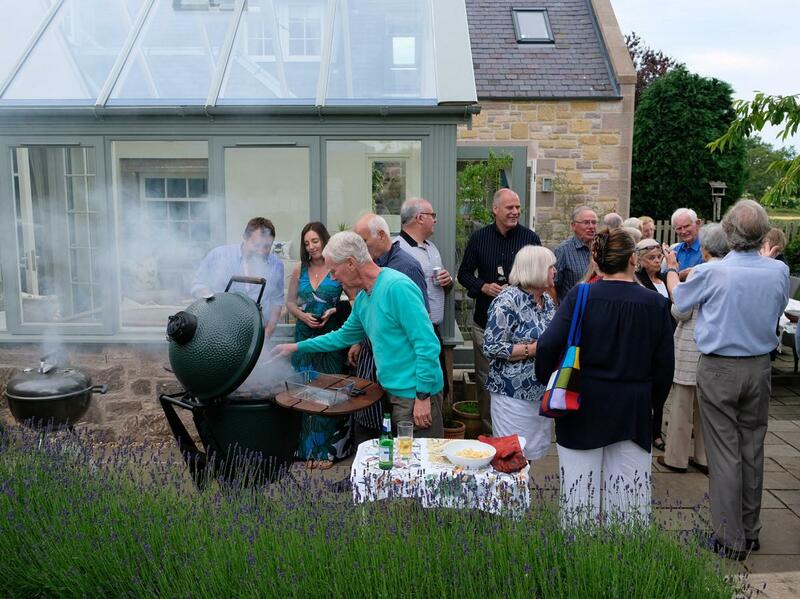 To round off the evening, members, their partners and guests enjoyed an excellent barbecue, drinks and good company in outgoing President Louise’s garden.